A young Minerva Punjab FC succumbed to a 4-0 loss against Kolkata Giants in Round 3 clash of Hero I-League, played at Rabindra Sarobar Stadium. Darryl Duffy and Jeje Lalpekhlua scored two goals each as they ran through a shaky Minervan defence. 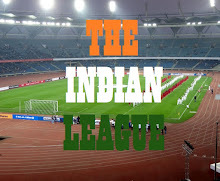 MPFC Coach, Surinder Singh made as many as seven changes to the starting XI with their latest foreign recruit, Ivan Filatov from Kyrgyzstan making his I-League debut. Ravi Kumar, Simranjeet Singh, Souvik Das and Manandeep Singh were dropped from the playing XI. Sanjoy Sen made five changes to his team with Reiynar Fernandes, Balwant Singh, Souvik Ghosh and Bikramjit Singh starting from bench. Sony Norde was handed first start of the season with Eduardo and Subhashish Bose returned from suspension. Mariners was right on business and dominated the game from start. Mohun Bagan's first goal came in the 16th minute. Sony Norde was fouled by Loveday just outside the box and referee was quick to award a free-kick. Norde took the set piece and sent it straight to Darryl Duffy who leaped and headed it right into the nets. Jeje Lalpekhlua doubled the lead of Green and Maroons in the 28th minute. Sony Norde released the ball from the left flank to Subhashish Bose, who made an overlapping run from the left flank and crossed into the box to Jeje, who tapped the ball into the back of the nets. Darryl Duffy made it 3-0 in favour of Mariners four minutes later when Yusa Katsumi's long ball from the centre found the Scotsman, who chipped it over a helpless Loveday to score his 4th goal of the season. Surinder Singh then made the first substitution of the match as he brought in Joel Sunday in place of Altamash Sayed in 37th minute, to add more attacking options. The match went into half time with Mariners enjoying a comfortable 3-0 lead over the opposition. 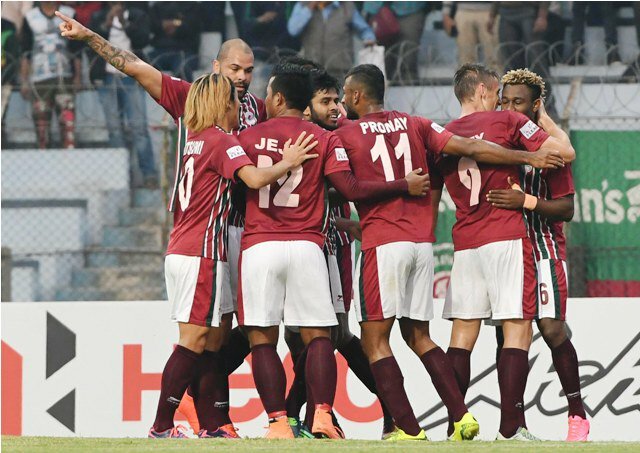 Mohun Bagan continued their attacking game in the second half and created multiple chances in the opposition half. In the 49th minute, Yusa Katsumi came close to add to their lead but his shot from long range couldn't get pass Minerva's defender. Surinder Singh made another substitution in the 52nd minute as he brought in Manandeep Singh in place of Victor Amobi. Minerva Punjab came close to open their account in the 64th minute. Joel Sunday looped from the edge of the box catching Debjit Majumder off guard but managed to lay a finger on the ball which hit the bars. Jeje piled on the misery of Minervans as he made it 4-0 in favour of Mariners in the 77th minute. Pronoy Halder released the ball from the midfield and aptly collected by Jeje who passed to an unmarked Bikramjit Singh on the edge of the box. Kamalpreet Singh went down but failed to clear the ball and Jeje pushed the ball into the nets. Sanjoy Sen made two substitution in the last tem minutes of the match as Balwant Singh replaced Darryl Duffy and Debjit Majumder making way for Shilton Paul. Balwant Sen came close to score his second goal of the season in the 90th minute but wasted too much time to take a shot with only one Minervan defender to guard. The match ended with a score line of 4-0 in favour of the Mariners who leap frog Aizawl FC and Bengaluru FC to take the pole position in League table. Minerva Punjab FC, on the other hand suffer their second consecutive defeat and are 6th in the points table with just one point in three games.